Finding the right collegiate fit for your son or daughter can be stressful. This web page is designed to help you navigate the often confusing transition from high school to a collegiate setting and to let you know that Sauk is often the first, best choice for young adults as they transition to college. Contact Sauk’s Coordinator of Student Recruitment for questions and to schedule a personalized tour. Sauk has numerous transfer degrees, career-technical degrees and certificates that your son or daughter can work toward. Explore his/her options by visiting our academic programs page. If your son or daughter is undecided, that’s okay too; they can take general education courses until they find what they are good at and what they have an interest in. 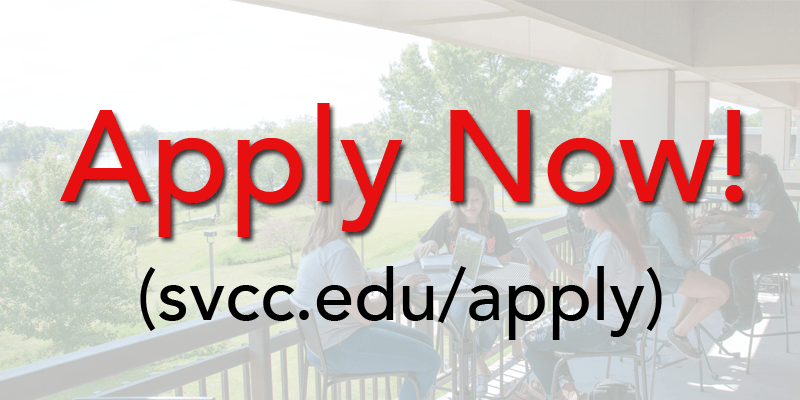 Sauk provides a quality collegiate education at an affordable cost. In fact, Sauk is often ⅓ the tuition of most four-year institutions. Check out our cost of attendance. Even though Sauk is an affordable option, we know that the additional cost of college can still sting. Let the Financial Assistance Office help you find ways to help pay for school using student loans, work-study positions, and scholarships. Placement Testing & Academic Advising. The transition from a high school curriculum to a collegiate curriculum can be daunting. Sauk will provide testing, free of charge*, that helps our academic advisors make the best class choices for your son or daughter. Sauk’s highly qualified academic advisors will work one-on-one with your son or daughter when designing his/her class schedule. If your son or daughter needs additional support due to a disability, the Disability Support Office will provide appropriate and reasonable accommodations that will effectively meet his or her needs. Sauk has a state-of-the-art student services center that provides easy access to the offices of academic advising, financial assistance, admissions, testing services, business office, and the bookstore. Sauk is known for its quality service to students and our Student Services Center is the backbone to many of those services. Sauk is incredibly safe. In fact no crimes have been reported on campus over the last few years. But, if an unsafe situation ever arises, Sauk has full-time security personnel on campus 24/7 to deal with the situation and the campus is within six minutes drive of local police. Want to come for a visit? You can use these campus maps to help you find your way to and around our campus. If you feel like Sauk is the place for your son or daughter, the first step is to contact one of our Enrollment Management Specialists at 815-835-6273. First of all, welcome to the Sauk family and thank you for trusting us with your student. We are proud of our 25,000 Sauk Successes and with a lot of hard work and perseverance, your son or daughter will end up one too. Secondly, Sauk provides a lot of services and opportunities for your son or daughter now that they are enrolled. It’s important to get them off to a great start and to remind them of all the services provided by the College. Sauk has an on-campus bookstore run by Follett Corporation that provides access to textbooks, Sauk clothing and snacks. On the second floor, Sauk’s cafeteria provides access to breakfast and lunch during the fall and spring semesters. Sauk provides a free service to help build your son or daughter’s job interview skills and help with resume writing. If your son or daughter is taking a career-technical degree/certificate, Career Services should certainly be a stop before graduation. AmeriCorps is a national service program where members work with children, young and families to increase academic and life skills.The program provides monetary assistance to your son or daughter. The Learning Commons is an all-in-one library and tutoring services center. These services are provided for FREE to your son or daughter. Have them visit the Learning Commons as needed. TRIO Student Support Services is a federally funded, student-oriented program that offers supportive services to help its participants achieve success. Third, it is important to be involved in your son or daughter's college experience without being too involved. This is a time for your son or daughter to grow and be more responsible, so it’s important for you to support them and yet hold them accountable. Now that your child is an adult, Sauk has limited ability to discuss with you about your son or daughter’s progress without their consent, so work directly with your son or daughter to have questions answered by Sauk staff. So, what can you do as a parent to help support your son or daughter. Encourage them to participate in clubs and activities. Sauk has numerous student organizations which provides opportunities to develop new friendships and develop leadership skills. 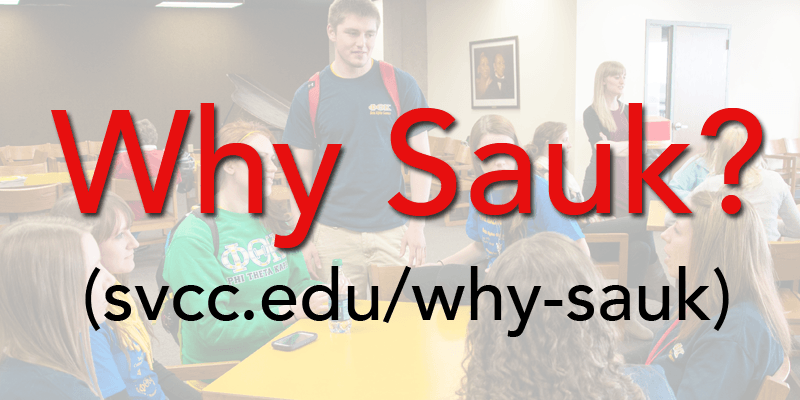 Successful Sauk students often admit that they wish they had joined a student organization earlier in their Sauk career and that it was important for their growth as a person and student. “Like” Sauk’s Social Media Pages to stay informed of important events. Sauk has both a Facebook page as well as Twitter. Know your son or daughter's academic schedule. Sauk has a rigid academic schedule that dictates when students can withdrawal from class, what dates the midterm and final exams are, and when payments are due. Double check that calendar from time-to-time to see what’s on your son or daughter’s academic horizon. Encourage your son or daughter to attend campus events. 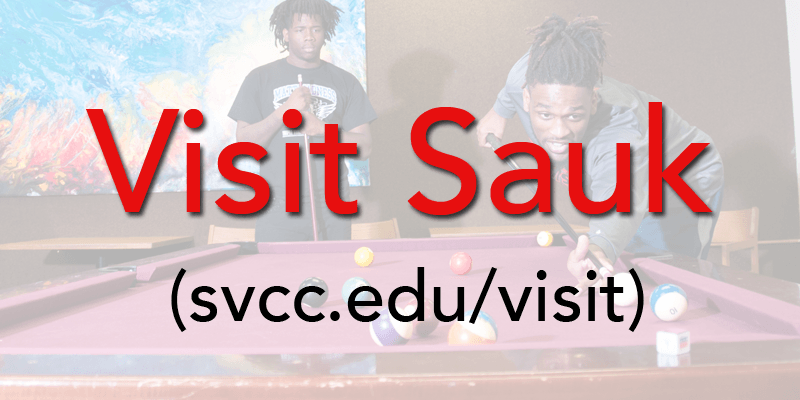 Sauk tries to provide a rich, varied experience to our students so we provide entertainment (e.g., musicians and magicians), NJCAA athletic events as well as scheduled educational events. Check our Facebook page or SVCC homepage regularly and feel free to come along! Remember that your son or daughter are now adults! If your son or daughter is struggling with college, have them approach their instructors, their academic advisors, and attend the free tutoring sessions at the Learning Commons. However, if you feel an intervention is necessary on their part, remember that the College cannot disclose information about your son or daughter unless they waive their rights, otherwise you will not learn much about the happenings in any of their classes.